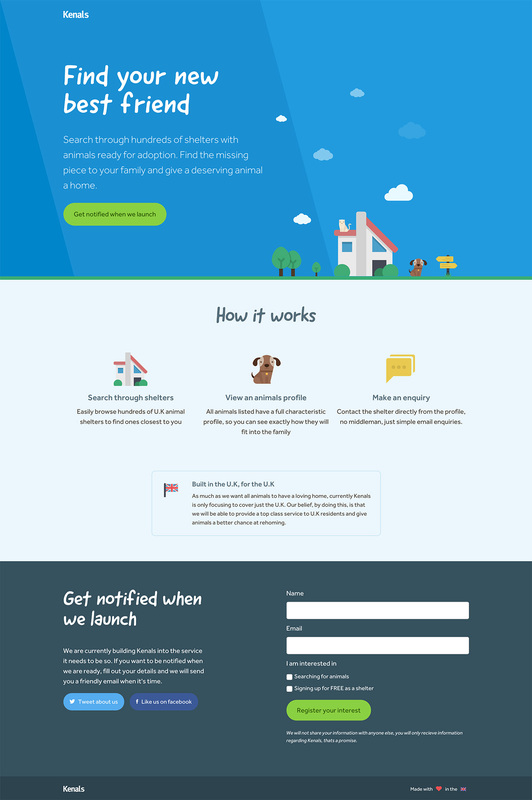 Just love these little animal illustrations in this launching soon page for ‘Kenals’ – an upcoming service to help find animals to adopt. Nice touch with the “GoodDog” font use and also the paw favicon. This is my first product I'm released as a Designer / Developer. It's built completely mobile first and it's been a fun project to work on. There were no real obstacles to overcome with this, it was a pretty standard build. The only complexity is the newsletter signup, this uses the jQuery validation plugin to validate, then using ajax submits to campaign monitor to subscribe users without leaving the page.